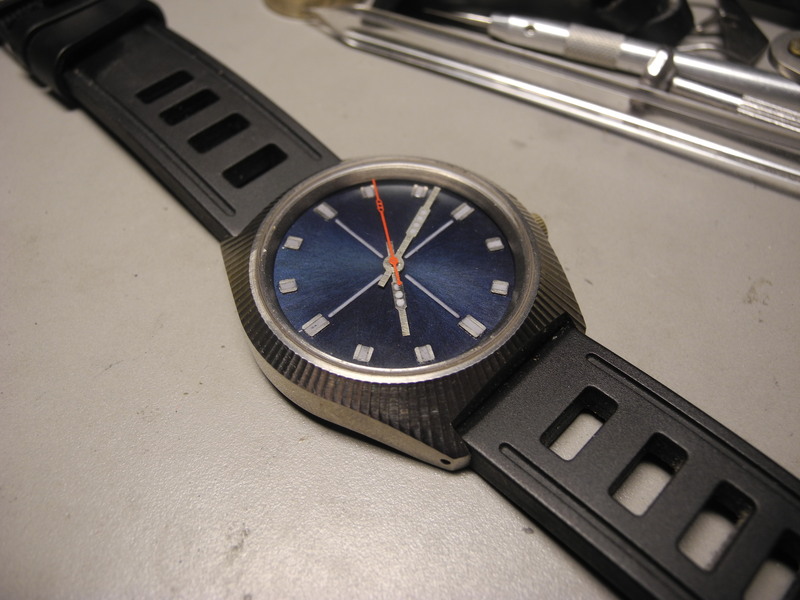 In the beginning of 2014 i created my first watch, a 42 mm Titanium Toolwatch. I’ve been testing this watch since i finished it, doing all kinds of work, making stuff, building workbenches, riding motorbikes, mountainbikes and doing archery (vibrations) to see if the watch kept functioning. For the last 2 years, it has performed flawlessly, no matter what i threw at it.. I Also designed and made different dials, to get the look i wanted. Plans are: producing this Timepiece in series, starting begin 2017. After purchasing a number of STP 1-11 Movements, i have re-engineered the Instrument 2 case to accept this movement, turning this model from hand-wound into automatic. 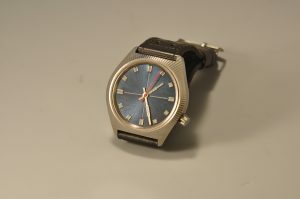 The casedesign is also slightly altered, a bit longer to facillitate easy strap replacement. But the main features remain unchanged, the crown for instance will remain at the 4 o’clock position, to get it “out of harms way”. After all, this is a toolwatch, a watch that can take a beating, a watch you don’t have to worry about, the Titanium Grade 5 case is tough, lightweight and durable.